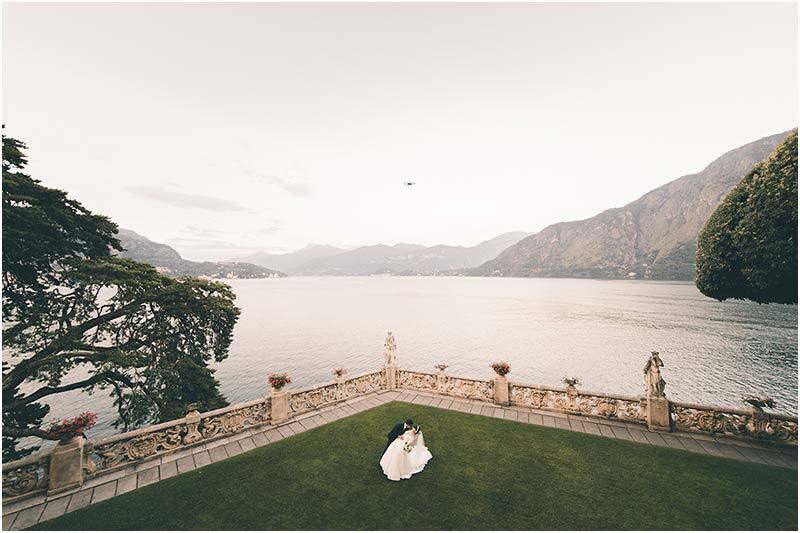 Villa Balbianello is without a doubt one of the most popular and prestigious wedding venue on Lake Como and will literally leave you breathless. 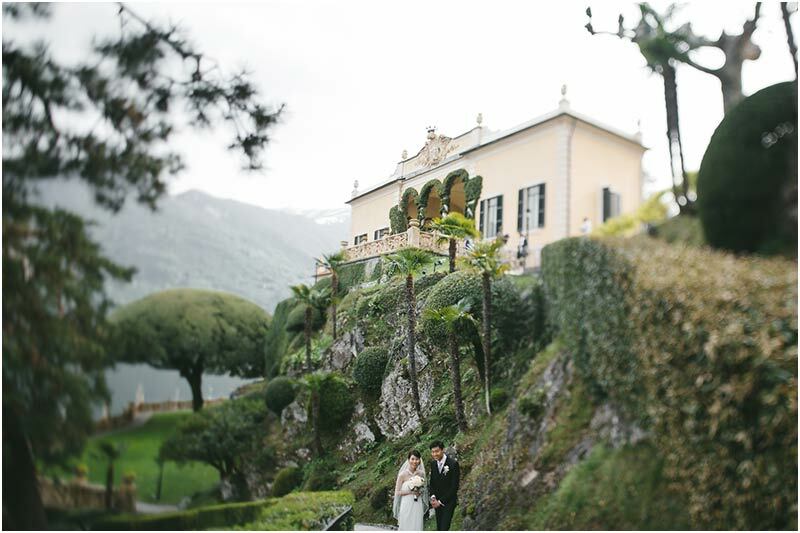 The tall plane trees combined with classical statues make it an incredible destination for couples who wish to wed.
Villa Balbianello peculiarity is its unique position and structure. 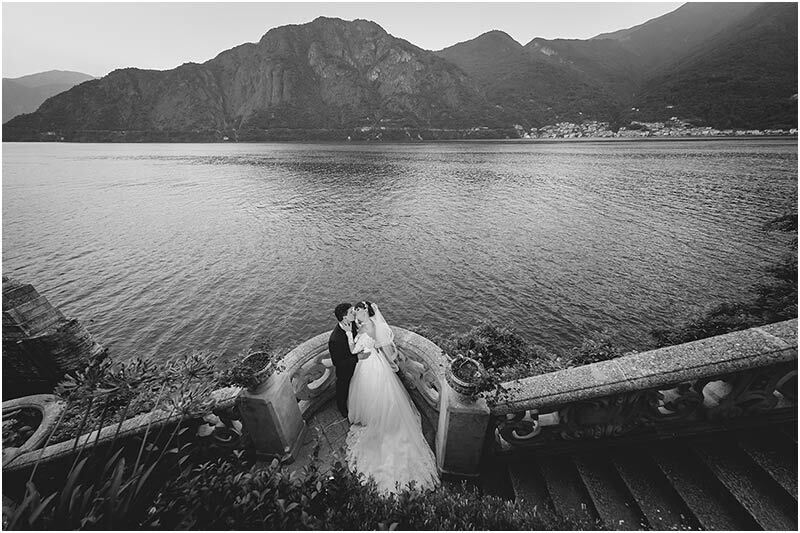 It is located on a promontory in the locality of Lenno dominating Lake Como on every single side. 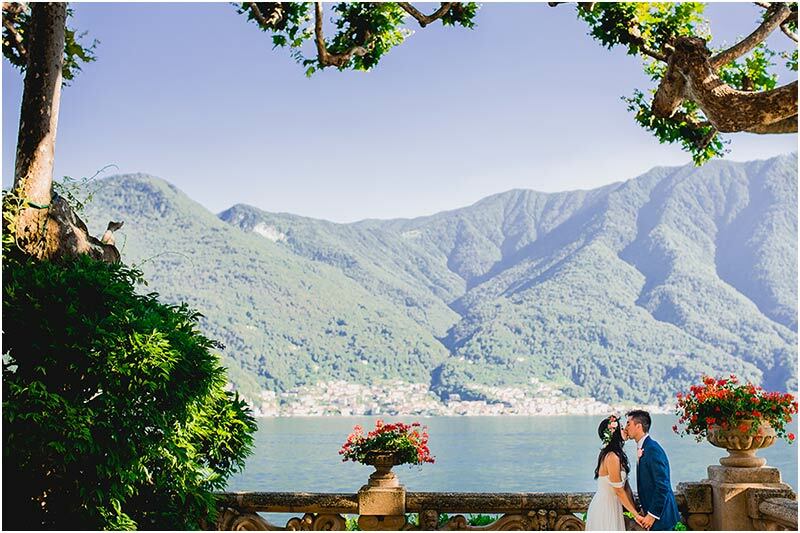 From its terraced gardens the villa provides a stunning view of Isola Comacina and the western shore of Lake Como: the location couldn’t be better for unforgettable wedding photos. The whole complex consists of two residential buildings (offices and museum), an ex-church (actually transformed into a small shop), a Portico that overlooks a little dock: this is called Loggia Durini and a Loggia located on the upper side of the Villa. 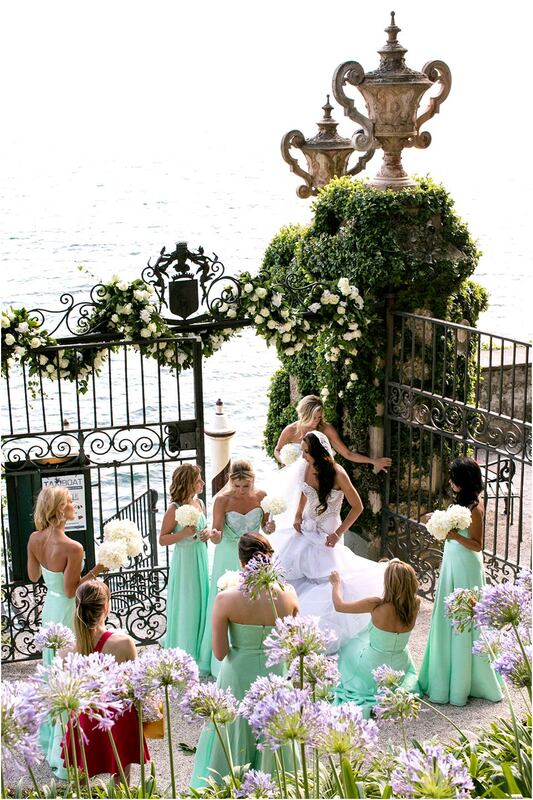 Loggia Durini is the wedding ceremony venue par excellence and gives us the opportunity of making it even more special with incredible flowers and decorations tailor made. 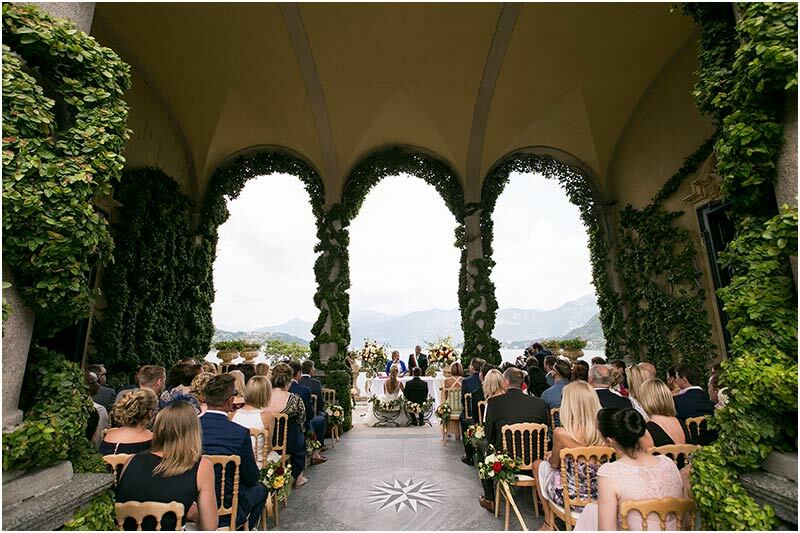 Loggia Durini can host a maximum of 80 chairs, so for larger wedding it must be taken in consideration a number of guests standing up or, in case the reception dinner venue will be different, the ceremony can be held on the large Oak Terrace by the lake (even though costs are much higher). 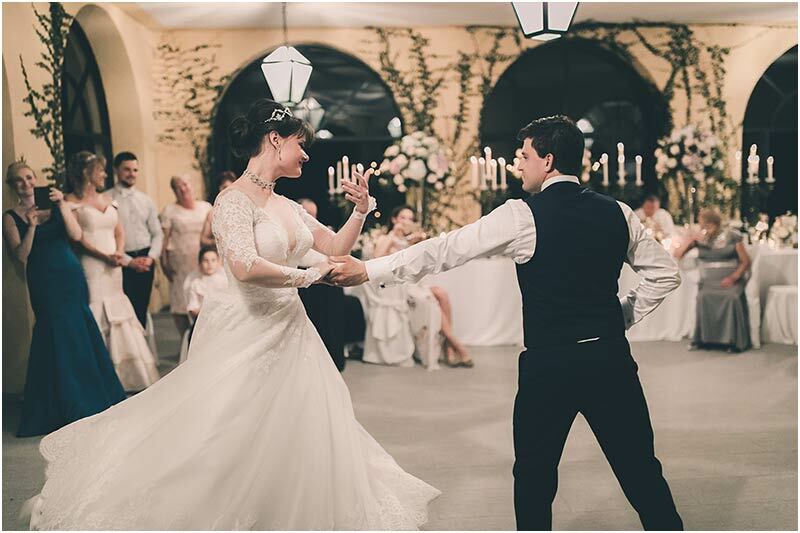 The last building located on the upper side of the promontory and recently restored, is called Loggia Segré and it is entirely dedicated to wedding reception dinners. 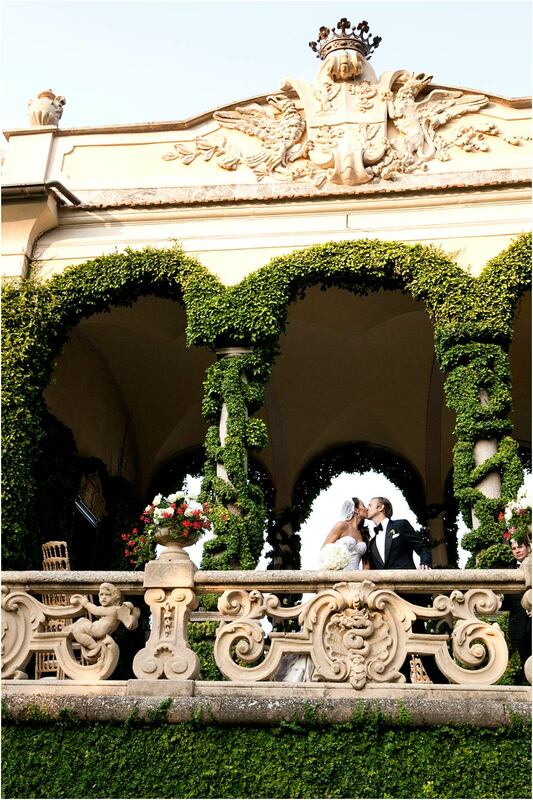 Loggia Segré overlooks the lake Como and consists in two areas: an outdoor terrace and an indoor glass doors veranda. The two areas are adjoining. The Loggia can comfortably hosts sit down meal with about 50 people. If numbers are higher we have to use both indoor and outdoor spaces. This is not a big issue, but, in case of poor weather it is important to consider the set up of a proper marquee on the open terrace. For very large weddings the suggested reception dinner area is only the big terrace overlooking the lake called Oak Lake Terrace. Its vastness allow to host weddings with up to 150 people attending. 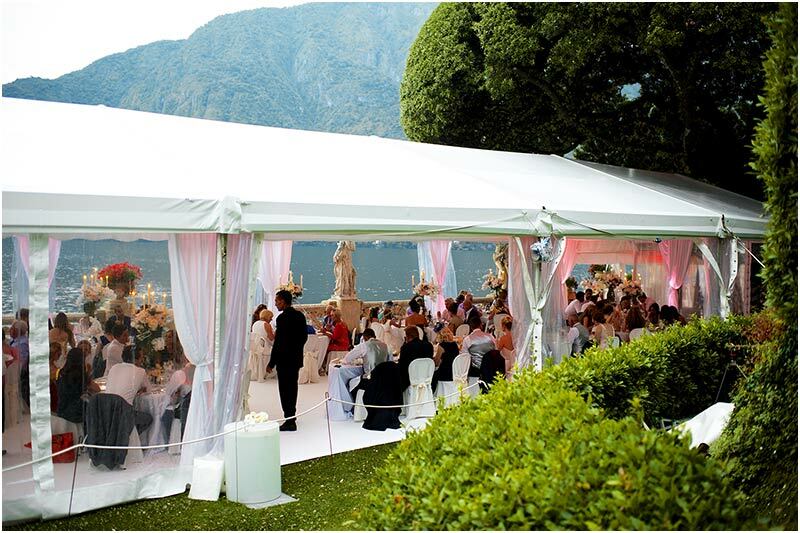 It is compulsory protecting the grass with a specific wooden floor and carpet and in case of poor weather, it is required the set – up of a large and expensive marquee. 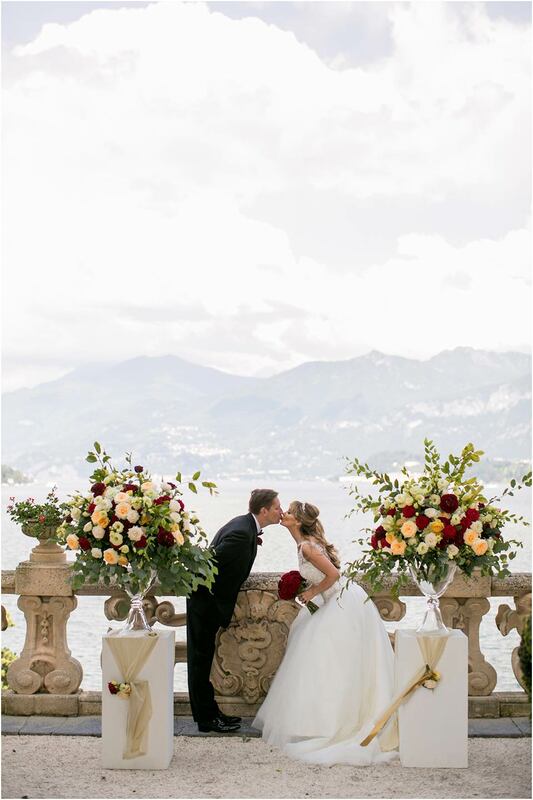 Villa Balbianello is licensed to perform civil legally binding ceremonies. 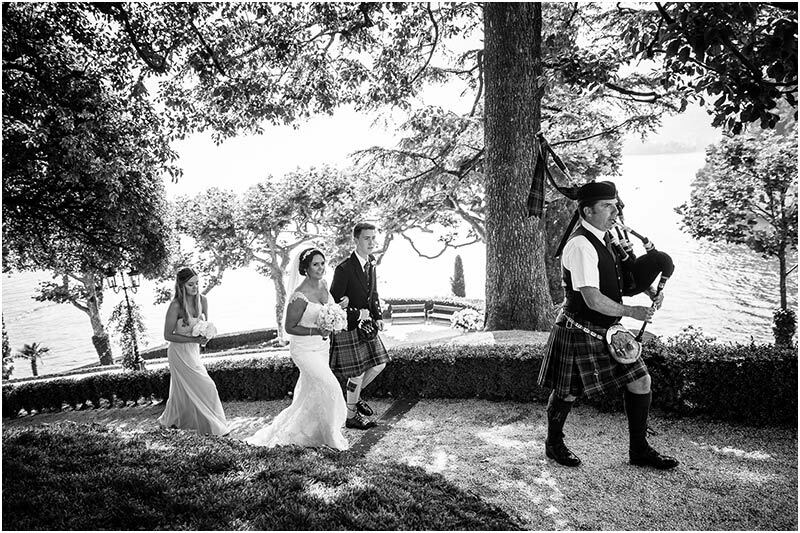 A representative of the Town Hall comes on purpose to officiate the weddings of many foreign couples that choose Balbianello to realize their big dream. But it is allowed to perform just a simple and informal blessing too. 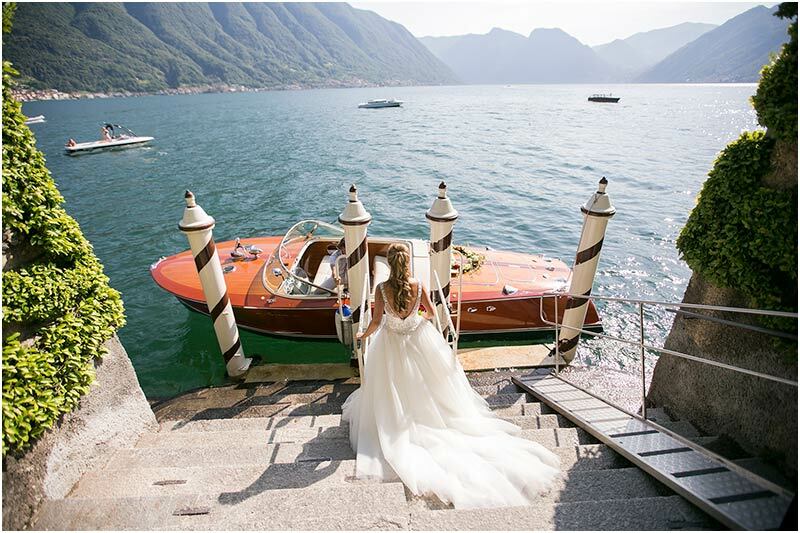 For weddings or other events, the only means of transportations allowed to reach and leave the Villa Balbianello are private boats. This makes it already by itself a great experience that will for sure impress all your guests. • It is closed on Monday and Wednesday. • Weddings and Private events with less than 50 people are allowed also during opening hours (given you are happy to compromise a bit of privacy). • Minimum rental is two hours. • Maximum stay allowed until 2am. • The Villa doesn’t have accommodations on site and cannot be rented for consecutive days being always open to public as a museum. 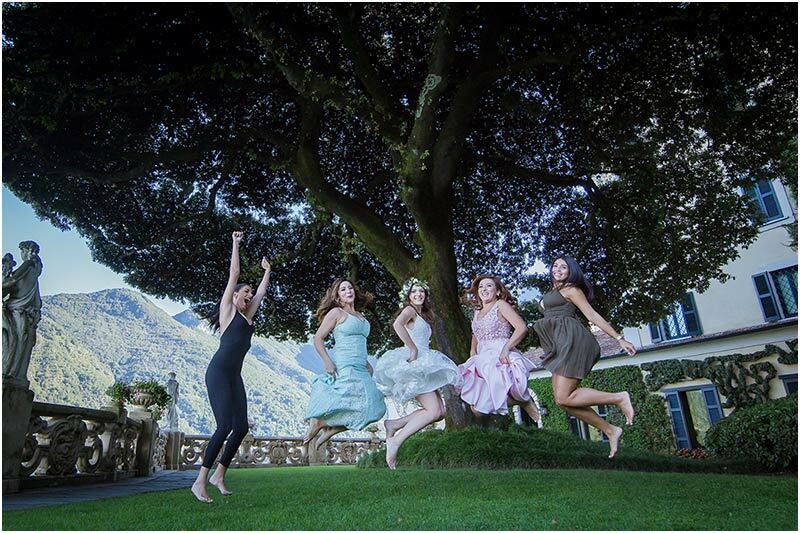 • Villa Balbianello offers the opportunity of photo sessions on site at more affordable prices compared to ceremony or reception dinner expensive costs. 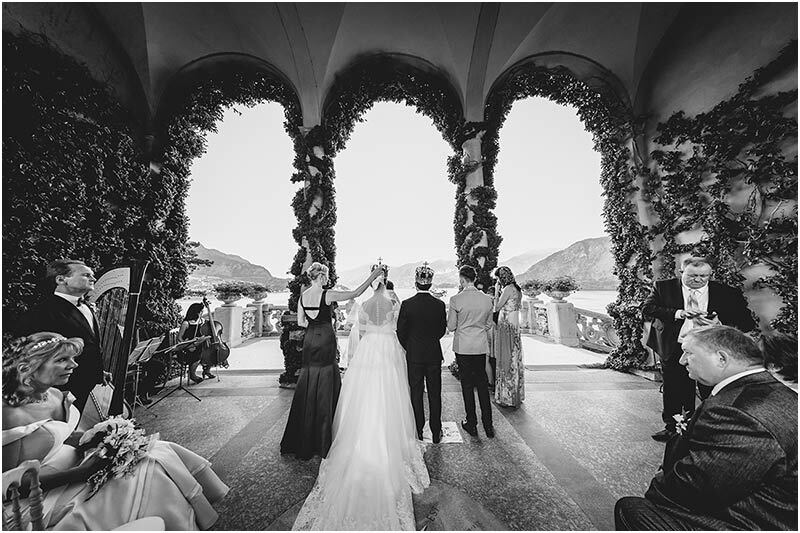 • Villa Balbianello rates and services are very expensive and are based on several criteria that take in consideration number of guests, number of hours and day of the week. 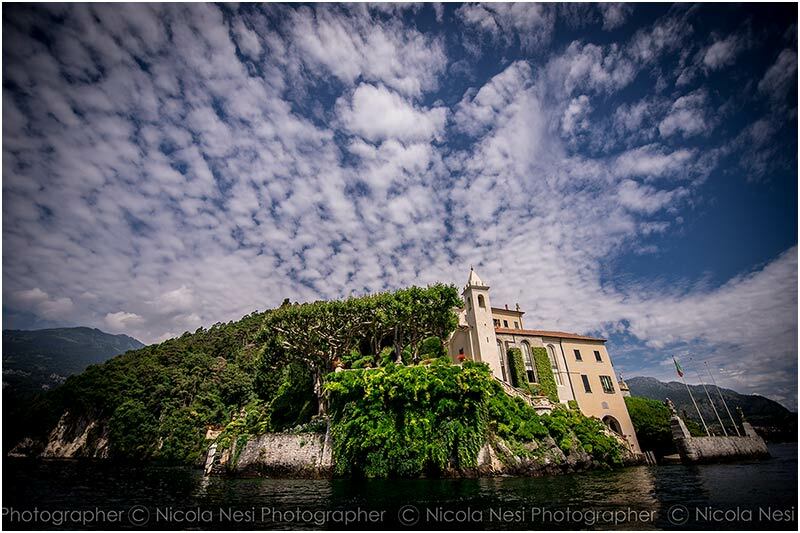 • Villa del Balbianello has been used as the setting for several movies, including A Month by the Lake, Casino Royale, and Star Wars Episode II: Attack of the Clones. • This stunning Villa on Lake Como was built at the end of the 18th century by Cardinal Angelo Maria Durini, on the site of an ancient Franciscan monastery. Last owner was the famous entrepreneur and explorer Guido Monzino. He embellished the villa with a rich collection of artifacts that he acquired during his expeditions. In 1988, Monzino died without issue and donated Villa del Balbianello to FAI (Fondo per l’Ambiente Italiano), the Italian National Trust.